Family run site offering 3 camping cabins for 2, a shepherd's hut for the solo traveller plus 12 cottages with stunning views of Glastonbury Tor. Self-catering holiday lodges - some pet friendly / some with hot tub - that sleep 2-6 guests. Set near the Lake District at Greystoke. A 1940's 2 bedroom cottage with authentic detail throughout including an Anderson air-raid shelter outside. Near Glastonbury. 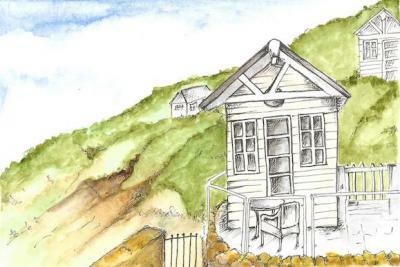 Beach huts for 2 - some with a hot tub - at a resort on the idyllic coastline at Ilfracombe. Perfect for a romantic break. 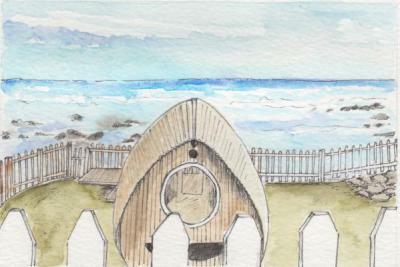 2 hobbits, a train carriage and Harvest Hut on rural farmland with coastal views near Fraserburgh. A unique award-winning loo too. 7 authentic, luxury log cabins at the edge of a lake, each with private HOT TUB & seasonal use of heated pool. Nr Framingham. Tin Mine! 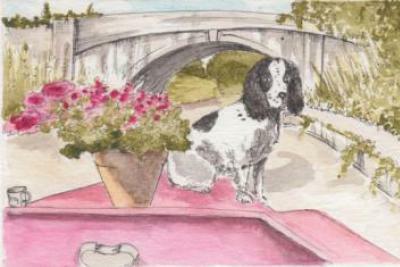 Count House & Smithy now riverside retreats for 2 + dogs near Calstock. Log fires, views, wildlife, ruins, peace. Min 2 night stay. Get travel ideas from our recent posts. HOT OFF THE PRESS - A new Competition for Spring with £500 voucher off a holiday of your choice! Unique site with a gypsy caravan for 2 + a UFO for 4 - both with hot tubs - near Narberth, on George Clarke's Amazing Spaces! Closed in winter. Travel around in unique + themed campervans. Picks ups from Cornwall, Bristol, London, Wales, Norfolk & the North West. Sleep 2-6. 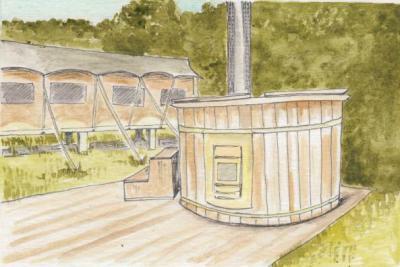 Luxury group glamping site with 4 safari tents with hot tubs and Miller's Cottage close to Cardigan. Min 3 night stay. Dogs welcome. Choose wooden lodges with hot tubs sleeping up to 8 for a relaxing retreat near the Jurassic coast, near Poole. Dogs welcome. Tiny wooden houses with private hot tubs, sleeping from 2-8 people. Located near Leamington Spa - or small site at Lincoln. Escape to a private yurt with exclusive use of a hot tub. 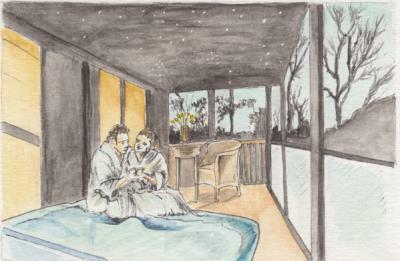 The ideal romantic hideaway or family adventure in SW Wales. Cross the gangplank for a romantic stay in a unique boathouse in the middle of Whitby harbour, sleeps 2. A historic windmill museum, bakery, tearooms and gift shops. Stay in shepherd's huts, a cottage or camp. Open April - September. A Holiday Park with something for everyone at Brean Sands. Premier Safari Tents, Lakeside Cabins, Pods, Barrel Pods & Euro Tents. 20ft in the air overlooking a wildlife park, Treehouse with Hot Tub offering total seclusion for 2 adults near the coast near Whitstable. Gorgeous glamping on Walcot Hall Estate - yurts, showman's caravans, fire truck, shepherd's hut & gypsy caravan sleeping 2-4 nr Bishop's Castle. An off grid site offering beautifully handcrafted yurts on a working farm. Stunning coastal views near Inverness. Romantic rural boathouse sleeps 2 people near Leek. Views across the lake. Minimum 3 night stay with Friday arrivals. Dogs welcome. Pods with views that can sleep 2-6 on a working farm on the edge of the Peak district, near Ashbourne. Dogs welcome in 2 Pods. First Class!! 3 railway carriages & former loading bay with Hot Tub, set in pretty rural setting, near The City of York. Selection of beautiful and quirky city centre houseboats in Amsterdam. Book as a couple, family or group. 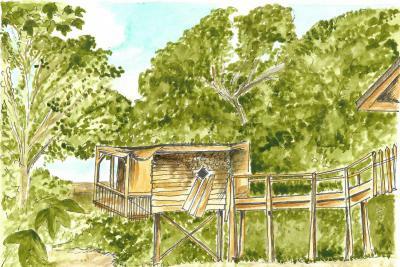 A luxurious treehouse for up to 6 with private hot tub in a charming village near Taunton. Access to heated indoor pool. 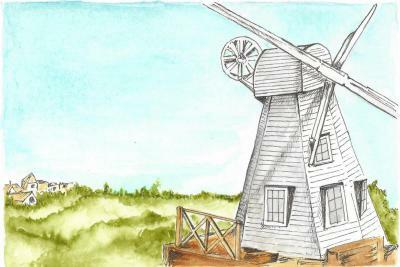 Stylish B&B accommodation in a picturesque windmill by the river in Rye. 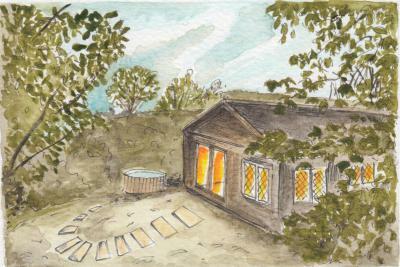 Woodland yurt sleeps 4 close to Carlisle and offers a relaxing rural retreat with private hot tub. Luxury log cabins, glamping pods and a spectacular yurt near Burnham-on-Sea. Enjoy the HOT TUB and adventure activities on site. Two 100 year old moored barges offer a relaxing getaway for 2(+2) guests or 6(+2) guests. Moored at Woodbridge + Snape Maltings. Dogs welcome. Unique and cleverly converted 1950s caravan with roof garden (sleeps 2-4) and cosy bell tent (for up to 5) in ideal location in the Severne Vale. Stay at a lighthouse in the Scottish Highlands near Gairloch! Comfy B&B accommodation in a spectacular and unique setting - open April - October. 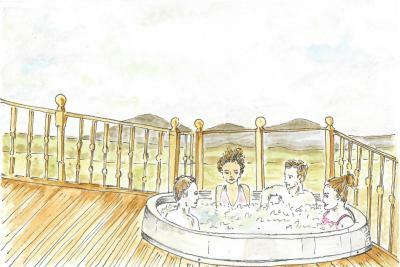 Luxury resort offers hotel rooms and cabin style accommodation with hot tubs sleeping 2-8 people. 18 hole golf course, gym + restaurant in Pocklington. By the North York Moors National Park, idyllic cabins & hot tubs set beneath the trees. SPECIAL OFFER: SAVE UP TO 15% ON A CABIN STAY WITH HOT TUB! Boutique beachfront house at Dymchurch for up to 13 guests. Relaxing stay with unique Real Sunlight room, cinema, jacuzzi bath. Or be the DJ. Rustic woodland Treehouses and Bell Tent glamping set in 21 acres of lakes, gardens and forest in Norfolk, just 2hrs from London. Luxury lodges near Kings Lynn with HOT TUBS for 2-10 people - and dogs. Onsite restaurant, indoor pool, spa facilities + restaurant. Step back in time at this gatehouse for 4 people at Thornbury Castle. Enjoy the hotel facilities including a delicious full English breakfast! 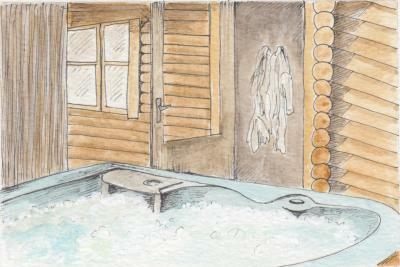 Modern woodland cabins, all with hot tubs in Snowdonia National Park. 2-6 guests or groups. Quote QUIRKY5 for 5% discount on stays taken by 31/12/19. Romantic rural retreat for 2 just an hour from central London. A Shepherd's Hut with jacuzzi style bath for 2 in Chorleywood. Properties for 2-4 beside a Victorian shooting lodge by Grouse Moor in North Wales. The Dog House & Owl Lodge both have a stream filled HOT TUB. Fully equipped ensuite glamping pods for up to 4 near the National Trust site of Ascott. Willow + Oak have a woodfired HOT TUB. A delightful old fishermans cottage, renovated for holiday rentals for 4. Fantastic cove views, near Mevagissey. An unusual and fun way to discover London - 2 beautifully refurbished and comfortable 57 ft narrowboats which can sleep a couple or up to 5. Showman's Wagons and a Victorian Railway Carriage near Bures within a wildlife and wildflower reserve. Look out for badgers here. Log cabin with hot tub near Maidstone, with stunning views of the North Downs. Perfect for walkers, cyclists and relaxing breaks. Peaceful glamping on the edge of Bodmin Moor. Luxurious yurts + Hot Tub. Closed in winter. Exclusive hire possible - great for HEN PARTIES. Luxury glamping lodges that sleep 6 in a secluded meadow a short drive from the Jurassic coast at Lyme Regis. Closed in winter. Glamping site on the Chatsworth Estate offers camping plus NEW TIMBER PODS + BELL TENTS. Open from April. A converted World War II operations bunker sleeping 6 guests. Providing a unique coastal holiday experience. 7 night min stay. Large rural converted barn with quirky metallic design and HOT TUB. Sleeps up to 10 people, near Southam. Romantic rural cottage built into a hillside sleeps 2 people near Campbeltown. 3 night minimum stay. Dogs welcome. Grade II Cottage & Barn, both with HOT TUB, that sleep 9 and 2-4 people and can be booked individually or together. Near Gloucester. 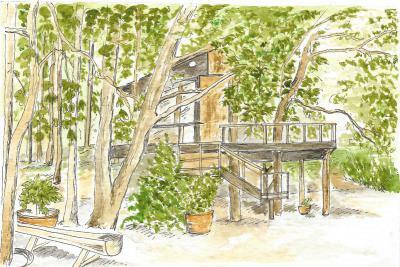 Treehouse, with private HOT TUB, sleeps up to 4 people in a riverside setting north of Carlisle. 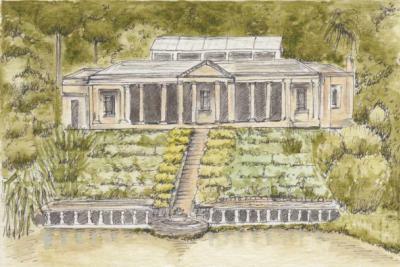 Historic Grade 1 listed building situated next to a tranquil lake with delightful gardens. 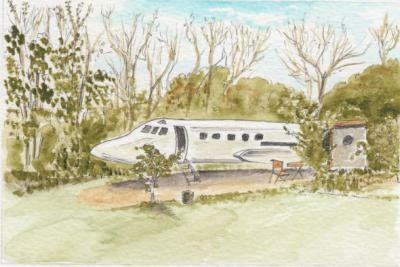 Romantic getaway for 2 people near Stroud. Choose an exciting alternative holiday in this luxurious railway carriage for 4 near Williton - with private hot tub. A 58ft narrowboat sleeping up to 6 guests, providing constantly changing scenery and views as it cruises. Based near Nantwich. Rural campsite offers 5 en-suite wooden wigwams with kitchenettes and sea views for up to 5 guests near Kirkcudbright. Dogs welcome! Luxury log cabins sleep 2-10 near the Lake District with private hot tubs and fantastic views of the River Lyne. Fishing possible. Coastal countryside cottages near Plymouth. Romantic, luxury cottages sleeping 2-14. Hot tubs. Dogs welcome. Family friendly. Off-grid ecoglamping in Bell tents, Stargazer Yurts & Canvas Lodge plus wood-fired Hot Tub to hire set in a young wood in Somerset. Closed in winter. Norfolk Windmill with Day Boat in Broadland. Sleeps 4 - bookings 7 nights in summer with Friday arrival. Out of season short breaks now available. Rural cottage with hot tub and stunning views at Glenshee. Sleeps 2-4, enclosed garden for children + dogs. 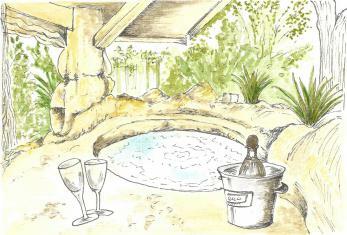 4 luxury tents & The Old Stable cabin set in beautiful surroundings near Ashford - optional HOT TUB. Groups of up to 24 possible. Closed in winter. A totally private romantic or family stay in a log cabin with hot tub and pizza oven, on the edge of a forest in SW Wales. Cabins + treehouses set in woodland with magnificent rivers & outdoor activities. SPECIAL OFFER: SAVE UP TO 15% ON A CABIN WITH HOT TUB STAY! Wildlife conservation charity has luxury safari lodge tents + hot tub, a 2-storey tent, Gypsy's Rest & Hobbit Box nr Woodbridge & the Suffolk Coast. Small secluded glamping site offering a range of unusual accom including a Helicopter, shepherd's huts, VW Campervans and wooden shack. Secluded traditional timber log cabin with country views and a PRIVATE HOT TUB. Close to Plymouth and Dartmoor. Sleeps 1-4 + dog. 2 luxurious wide beam canal boats for bed and breakfast in Bath, or for self-driving cruising holidays. Dogs welcome. 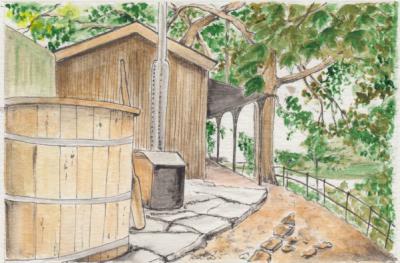 Cabins & Treehouses + hot tubs in forest near Winchester. Woodland views & walks. SPECIAL OFFER: SAVE UP TO 15% ON A CABIN STAY WITH HOT TUB! A unique holiday cottage with hot tub and garden at the former Akeld Station. Dogs and children welcome. Sleeps up to 9 + 2 dogs. 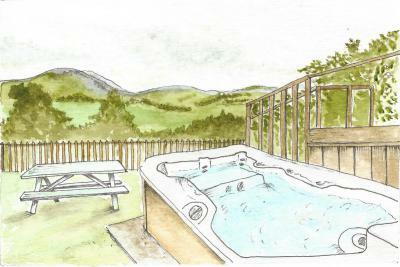 Cabins with great views and hot tubs in Ardgartan + Callander. Quote QUIRKY5 for 5% off stays taken by 31/12/19. Stylish yurts & canvas-roofed wood lodge set in private woodland in the South Downs. Great for groups, families, couples & dogs. Closed in winter. 2 Unique handcrafted cabins for 2 with amazing views down the Vrynwy valley and into the hills of Mid Wales. Enquire re children + dogs! 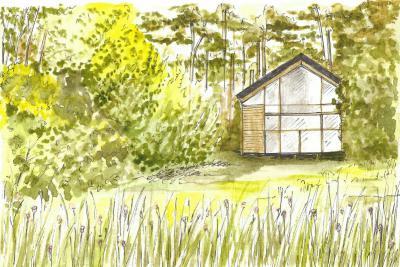 Glamping site 45 mins from London w/ stunning waterside log cabin + hot tub, luxury bell tents + hot tub + a converted grain silo. Event organisers. A totally private romantic stay in a yurt with hot tub, kitchen, oak king bed, shepherds hut washroom in a forest in SW Wales. 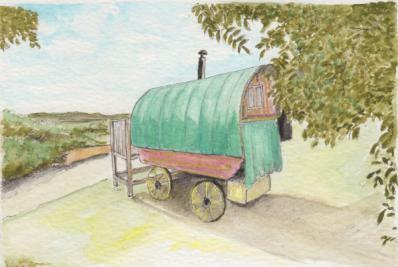 Total seclusion, romantic shepherd's hut & bathing wagon for 2 in an orchard near Exeter. 2 night min stay. Geodesic domes with mezzanine level and private hot tubs sleeping up to 6 people in Greetham. Closed in winter. Bright and modern ecopod for 2 set in a secluded lawned hollow in Devon close to Dartmoor National Park. Private HOT TUB too. Enchanting cabins + treehouses, 2-10 guests. Hot tubs, riverside views + forest walks. SPECIAL OFFER: SAVE UP TO 15% ON A CABIN STAY WITH HOT TUB! Luxury converted barn lodge for up to 5 with hot tub, excellent indoor entertainment and a fishing lake onsite near Yealmpton. A charming detached holiday cottage with hot tub where dogs + children are welcome, at Akeld. Sleeps 5 + 2 dogs. 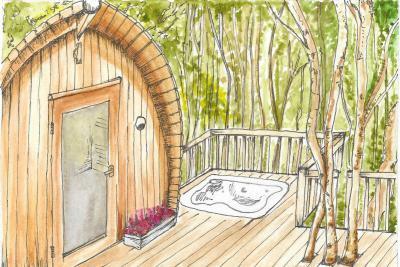 Variety of glamping options, some with private hot tubs, by woodland outside Scarborough. 2 night minimum stay. Good value stay at a shepherd's hut near Caersws. A unique glamping experience for 2 - plus your dog is very welcome. Idyllic cabins + hot tubs set by a millpond. Towering pines, stunning views, activities. SPECIAL OFFER: SAVE UP TO 15% ON A CABIN WITH HOT TUB STAY! Great getaway for 2 in a top quality modern shepherds hut near Bransgore in the New Forest. Horseriding holidays also offered. 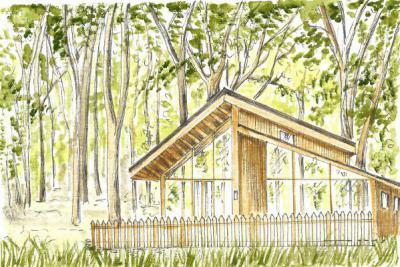 Stunning ensuite hut for 2 + hot tub set in woodland with views to the Malvern Hills. Cosy in winter with underfloor heating + fire. Barn for 5 too. Enjoy a fairy-tale getaway to this mini Gothic-castle for 2+2. Located by Dover Castle with many historic attractions near by. Site in the Cambrian mountains with good value glamping and rail carriages holidays, 200 yards from River Wye. Adult only. 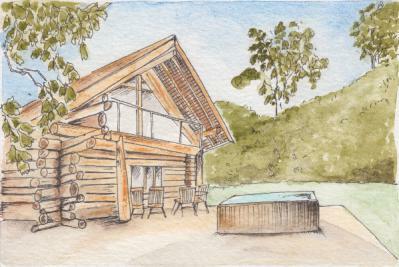 Luxury wooden cabin for 4 with private hot tub in an orchard in the Teme valley. Shared use of tennis court, games room + pool in summer. Travel by horse-drawn gypsy caravan by day, sleep in it by night. Slow down, Lake District views. Closed in winter. 18th Century stone cow shed with HOT TUB located amidst the stunning mountain of Glenshee. Sleeps 2-4. Eclectic + quirky decor in former pub in Axbridge, near Cheddar. Sleeps 11+. Cocktail bar + vintage cinema. WHOLE HOUSE RENTAL ONLY. Truly unique glamping site nestled in the South Downs close to Brighton. 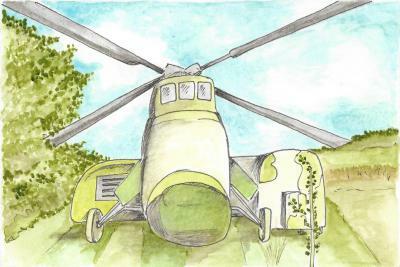 Not just treehouses, but helicopter, bus + more. Top quality lakeside treehouse for self-catering. Nr Hereford, views to the Brecon Beacons. Romantic for 2, but can add 2 kids + dog. Two luxury 5 star, dog-friendly cottages for 6 - each with hot tub - in unbeatable lakeside location, in the Lake District. A glamping village at Kirkington offering wonderful range of accommodation, each with unique and quirky interiors. Hot tub & Sauna. Closed in winter. A Double Decker bus, eco-pod, yurts, gypsy caravan or a house for 19. One hot tub on site + views. Good for couples, families, workshops & weddings. Riverside boutique lodges with Hot Tubs near Glencoe golf course. Dogs welcome. A 70's jetplane, a futuristic UFO and other glamping options for unique stays near Tenby. Places for 2-5 guests. A prime spot! This former Coastguard Lookout Tower sleeps 5, by the shore near Dungeness. Refurbished 4-star Railway Carriage and fully converted Victorian Station retaining many original features. A romantic chapel retreat for 2 dating back to 1836. Located on the edge of the Mendip Hills near Frome. Beautiful cottage in the Cotswolds with hot tub and magnificent view over the lake. Sleeps 6. Converted vintage themed cabin for 2 with cooking / dining area + hot tub on a decked terrace. Close to Bodiam Castle. Property right next to the sea with a hot tub sleeps 6 people near Cullen. 1 night stay permitted. 2 dogs welcome. Be close to nature at this eco camp with Tree House Yurt, shepherds hut with hot tub, cabin + yurts in Upper North Tyne Valley. Lodge, wigwams, tipis and lotus belle tents in a family run site with breathtaking views close to Hadrians Wall. Some with private hot tubs. 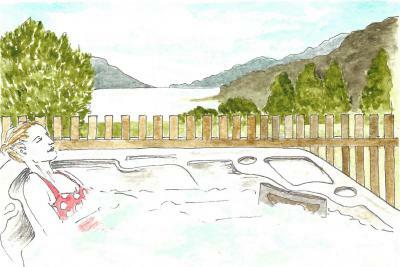 Luxury accommodation with views over the banks of Ullswater´s lake - with hot tub. For a group of up to 12 + Dogs. In the Lake District. 3 historic properties lovingly restored to sleep 2-8 guests near Kirkby Stephen in the Yorkshire Dales. Check out the hot tub & outdoor bath. A stylish lodge for 2-4 with special waterside decked dining area near Hereford. Guests have access to a fishing lake. 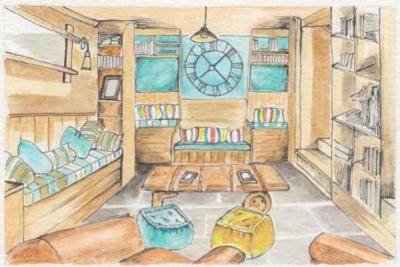 A unique designer beach house which has a 19th century railway carriage in the living area. Sleeps 4, at Dungeness. Holiday Village on the edge of the New Forest offers pods, tents, lodges and quirky caravans - dogs welcome. 2 night min stay. Beautifully restored beachfront train carriage accommodation which sleeps 6+2, in Selsey. Children welcome. 2 night minimum stay. 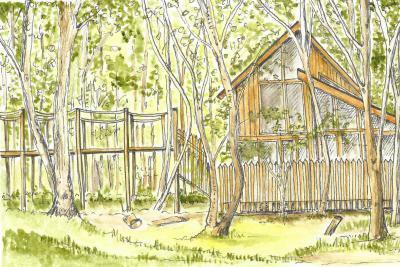 Charming woodland treehouse, cabins + more near Filey and the North York Moors sleep 2. Min 2 night stay. Whole site sleeps 23. An off-grid, 16th century farmhouse, sleeping 7, and a barn which sleeps 12 close to Lake Coniston in the Lake District. Luxurious woodland cabin with hot tub sleeps 6 by a loch near Invergarry. More guests can be added in hut and bunkhouse to total of 12 if required. 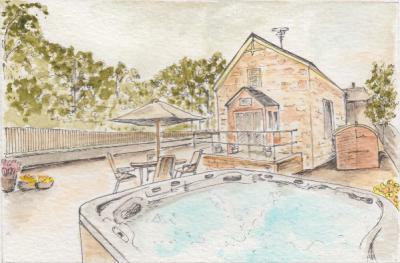 Wooden lodge with hot tub sleeps 2-4 people on a small campsite near Carlisle. Dogs welcome. 2 night minimum stay. Stay in a cosy traditional gypsy caravan B&B surrounded by stunning Lake District scenery close to Lake Windermere. A collection of vintage, restored and modern VW camper vans to hire in the UK, from Sidford in Devon or Southampton. Luxury barn with private seasonal heated pool and quirky decor. Can sleep 2-4 near Hay-on-Wye. Monday / Friday arrivals. Enjoy living off-grid in this secluded house on the Cornish coast near Looe. Up to 8 guests. Hot tub optional extra. Converted Sheep Fauld sleeps 2 people with views over the countryside from the hot tub. Dogs welcome. No children. 3 night minimum stay. Glamping in enchanting Mongolian Yurts with hot tub in the idyllic East Midlands countryside. NEW on site Canvas Cafe. 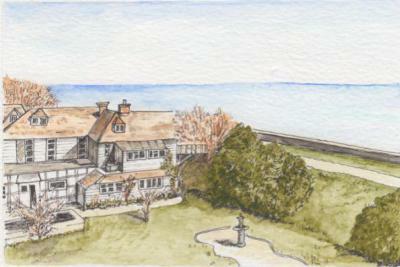 Historic coastal cottage for 6 with a New York Loft style interior. Walk to the beach. 3 nt min stay, 7 in Summer. Mon/Fri arr days. Quirky style house sleeps 6 people with views over the river at Brundall. 2 night minimum stay with Monday / Friday arrivals. 1 dog welcome. 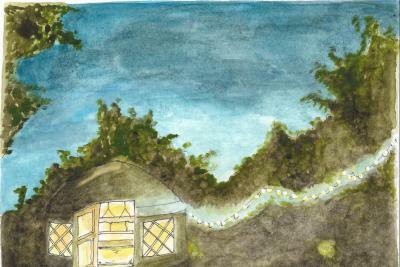 Site offering a cabin (sleeps 2) and yurts (sleep 4) made from reclaimed materials near Padstow. Eco and Dog-friendly site. Beautifully converted chapel sleeps 3 people in the Whicham Valley. 3 night minimum stay. Dogs welcome. A special retreat with treehouses, glamping, cottages + barn plus great facilities. Can cater to groups to up to 95 guests. Nr Kings Lynn. Stay in a yurt near the Peak District and enjoy the onsite HOT TUB and Finnish BBQ hut. Or explore the area in a 6 berth motorhome. Groups possible. Large site with views over Ullswater Lake District National Park offers Hobbits Holes, Glamping Cabins, Bell Tents , Camping Pods plus much more! Custom built gypsy caravan + Woodland Shepherd hut near Towcester. Enjoy nature and a herd of llamas as neighbours. Dogs welcome. Beautiful property comprising of 2 railway carriages sleeps 8 people on the southern point of Hayling Island. 3 night minimum stay. Dogs welcome. Studio style cottage with conservatory in the heart of the lake district at Woodend. Sleeps 2 people. Dogs welcome. Minimum 2 night stay. A romantic stay for 2 at Sawdon. Large windows with views, outdoor seating, a bespoke staircase and beautiful bathroom. Minimum 3 night stay. Unique toll bridge house on the tidal estuary near Dolgellau sleeps 2 people. Minimum 3 night stay. Monday and Friday arrival days. Dogs welcome. Restored 19th century cottage with hot tub and sauna sleeps 2 people in Braemar. Dogs welcome. A beautifully restored dog friendly windmill with 6 bedrooms, close to the town of Usk. 3 Self-catering lighthouse cottages set on Langness Peninsula surrounded by birds and sealife. Eco friendly wooden cabins, for 2-4 guests, built on farmland in The Peak District. Dogs welcome. Pod sleeping 2 people on farmland near Rye. Shared hot tub facilities. Stay for 1 night! 1 dog welcome. Bijou hideaway set in the pretty Yorkshire village of Goathland. The perfect romantic escape for 2. Minimum stay 3 nights. Luxury en suite bell tents for 2 + 2 set in the wooded grounds of Paxton House, on the banks of the River Tweed. 2 night min stay. Romantic getaway for 2 people in the village of Hooke. 1 dog welcome. 2 night minimum stay. Closed in Winter. Gorgeous glamping in yurts, cabins, stable + bunkhouse. 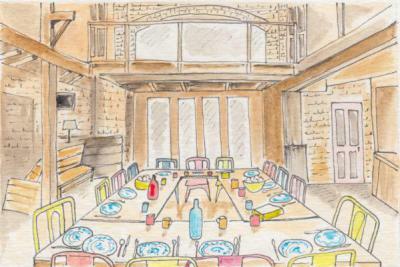 Venue hire for large groups of 20-120 guests / individual midweek bookings possible. Cruise in 5 star luxury on this hotel boat for up to 4 passengers. Routes from London, Oxford, Bath, Warwick. Unique treehouse with quirky design features, hot tub and slide sleeps 2+2 near Narbeth. 2 night min stay. 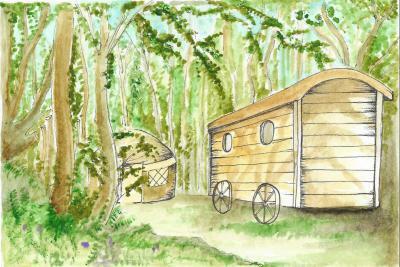 Eco friendly site near Bakewell that offers a gypsy caravan, glamping pods and luxury cabins! Sauna & Hot tub hire available! 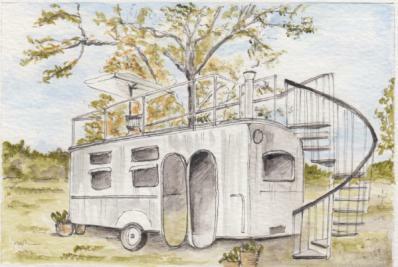 A self-catering 1955 airstream caravan in Norfolk in pretty garden setting. Good for a couple but 1 child and dog could also stay. 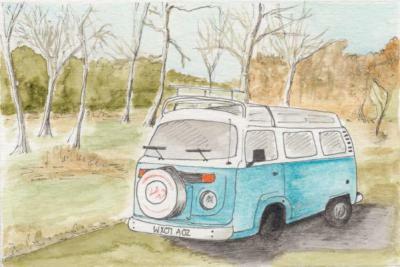 Escape your hectic lifestyle in an original VW Campervan from Keswick in The Lake District. Pick up days vary. Gothic Grade ll church for 4 with stained glass windows + hand painted ceilings within the North York Moors. 3/4 night min stay with Mon/Fri arrivals. Grand and unique - an 1880's country house with beautiful views to the sea at Barmouth. Sleeps from 2 to 12 people + dogs welcome. Beautiful waterside property with views over the Norfolk Broads sleeps 8 people. Great for 2 families to share. 3 night minimum stay. Dogs welcome. Shropshire glamping holiday in a genuine 1920's Circus Ringmaster's Wagon. 2 night minimum stay. Closed in Winter. Enjoy the stunning view of the Yorkshire countryside from your very own canal boat. Sleeps 2 people + 1 dog welcome. Boutique Glamping on the Isle of Wight at Tapnell Farm with Safari Tents, Wood Cabins, Modulogs, and Pods. Possible for large groups. Lavish yurt with ensuite and garden in small medieval town of Newport. Sleeps 2. Book the HOT TUB for your stay. Min 2 night stay. Closed Jan/Feb. 110 year old beautifully restored Dutch Barge for up to 6 people (+ dogs) in the medieval town of Sandwich. 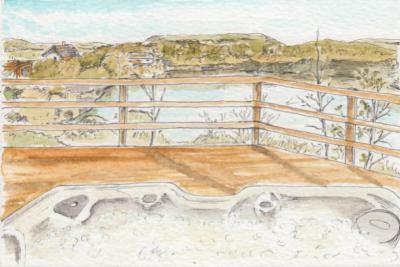 A beach style cabin sleeping up to 6 in the Gower. Great for couples, friends and families. Dogs welcome. Min 3 night stay. Closed in Winter. Quirky cottage with hot tub, sauna and pool table sleeps 4 near Leyburn. Min 3 night stay with Monday/Friday arrivals. Children + Dogs welcome. Glamping accommodation on farmland near Lyme Regis - yurts, shepherd's hut or log cabin. Enjoy the tranquility of this rural site. A beautiful handbuilt Narrowboat that sleeps 2-4 people and cruises along the scenic Lancaster Canal. A beautifully crafted shepherds hut for 2 with charming interior in its own private garden. Glastonbury only 10 mins away. Quirky boat style property sleeps 4 people in Middleton-on-Sea. 3 night minimum stay. 1 dog welcome. 2 Victorian Railway Carriages with space for 3/4 guests each, near the village of Wisbech St Mary. Two unique cabins with sea views, ensuite + kitchen facilities sleep 2/4 near Looe. Super cool + vibrant Amsterdam city hotel with suspended beds + other unique design touches. Roof garden, hot tub + nightlife on weekends. Rural site offering lodges sleeping 12 and wooden pods sleeping up to 4 near Aviemore. Great for an active holiday. Top location! Property overhanging Lake Windermere with private jetty + boardwalk sleeps 4 people. Minimum 7 night stay. No pets. Peaceful hut with en-suite facilities sleeps 2 in the heart of Sandsend Valley near Whitby. Beautiful site offering exclusive use to 8 people, 6 in a wooden cabin and 2 in a gypsy caravan. Near Taunton - dogs welcome. Restored cottage sleeps 2-4 in 3000 acres of woodland in Dalmellington. 3 night minimum stay. By beach + Broads National Park in a pretty village are 2 eco-friendly barns sleeping 8 or 2 guests + dogs. Luxury stays in stylish vintage horseboxes sleeping 2-4 people, or B+B rooms in the Country House near Ross-on-Wye. Historic house with hot tub sleeps 12 people in Windermere. Dogs welcome. Minimum 3 night stay. Yurts + Gypsy caravans on the shores of Lake Windermere. Horsedrawn wagon or motorhome for touring the Lake District too. Rural family run site with stunning views offers a cottage, shepherd's hut and geodome with hot tub near Brecon. 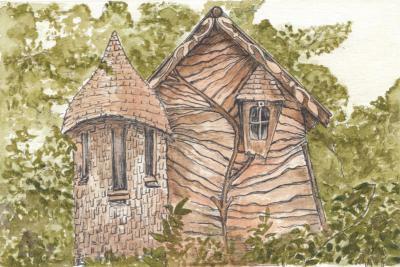 Cottage once belonging to the artist Percy Kelly. Sleeps 4 people. 1 dog welcome. 3/7 minimum night stay. Stunning castle hotel set in the West Highlands close to Fort William. Individually designed bedrooms + award-winning restaurant. Over 230 years old character cottage for 4 with a Celtic gatehouse vibe and elevated views over Patly Bridge. 3 night minimum stay. Set in a prime location on the shores of Loch Fyne, this cosy little lodge has two bedrooms, hot tub and sleeps 4. A 3 bedroom cottage at Start Point lighthouse. Dramatic location on a small cliff, near Salcombe. Eco and family friendly holiday park, offering wigwam glamping cabins and wilderness camping near Cromer. A sophisticated organic farm with cookery courses, cafe, spa and shop with option of Cotswold cottage accommodation. Country retreat with hot tub, ancient woodland and orchard sleeps 7 people near Exeter. 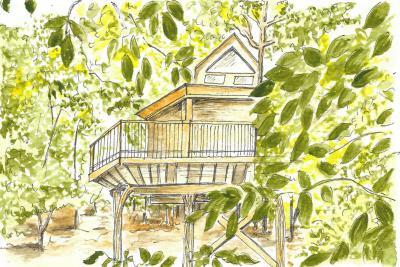 Elevated treehouse with views over a trout pool sleeps 6 on an Alpaca Trekking centre near Tenbury Wells. Closed in winter. A quaint thatched holiday cottage for 4 in Hale with a wonderful history behind it. Mon/Fri arrival for 3 night minimum stay. 2 dogs welcome. Converted school house sleeps 7 people and is near the fastest zip wire in the world! Minimum 2 night stay. Dogs welcome. A cottage at the operational Pendeen lighthouse perfect for 2/3 guests with stunning sea views. 14th Century Pele Tower near Carlisle sleeps 8 people. Large grounds and original features. Dogs welcome. 1 night stays available. Historic tower with vintage touches in central Great Yarmouth not far from the sea. Can sleep 4+2 guests and dog/s. Lakeside shepherds hut with gorgeous views, offering a romantic break for 2 in a rural location near Beer. Large property with hot tub and Italian style garden sleeps 15 people near Penrith. Minimum 3 night stay. Dogs welcome. Cottage within a converted church with tower, sleeps 6 people in Ambleside. Dog welcome. 3 night minimum stay. Secluded safari glamping near Crewkerne, sleeps 4, plus dog. Totally private, in fields with open views. 2 nights minimum stay. Closed in Winter. Off-grid Den sleeping up to 4 & Cabin sleeping up to 6, hidden away. Unwind, connect with nature + explore the breathtaking countryside of West Devon. Impressive stone barn conversion for 4 guests + dogs near Hay-on-Wye + the Welsh border. Enjoy farm life and the communal barn. 2 night min stay. Stunning property sleeping up to 10 people near Drumguish. 3 night minimum stay. Dogs welcome. 5 beautifully decorated shepherd's huts in the heart of the Lake District in the impressive ground of Rydal Hall. Enquire about yoga breaks. Retro styled airstream vans for holiday rentals on farmland in Saxmundham. Get close to nature in beautiful shepherds huts - or a tree tent - in the stunning Oxfordshire countryside at Chipping Warden. Contemporary cottage for 4 with chic interior is ideally located in an AONB by the Yorkshire Dales just 15 minutes from Harrogate. 3 night min stay. Delightful cottage retreat for 2 just metres from the sea with a private hot tub near Stranraer. Minimum 7 night stay. A grade II listed oast house (sleeps 6 guests), set within 12 acres in the High Weald AONB just an hour from London. An authentic gypsy wagon for 2 with the Forest of Dean on your doorstep. Up to 6 can stay if including The Apple Orchard, a self contained apartment. Rural log cabin sleeps 4 near Newport. Children and dogs welcome. Any day arrivals with 3 night minimum stay. 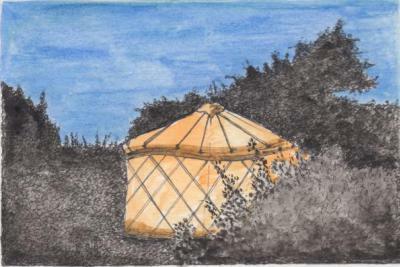 Enjoy the beautiful coastline while staying in a yurt on the edge of the National Park, near Goodwick, Pembrokeshire. Modern house with cinema in the village of Gilcrux sleeps 8 people. Dog welcome. 3 night minimum stay.